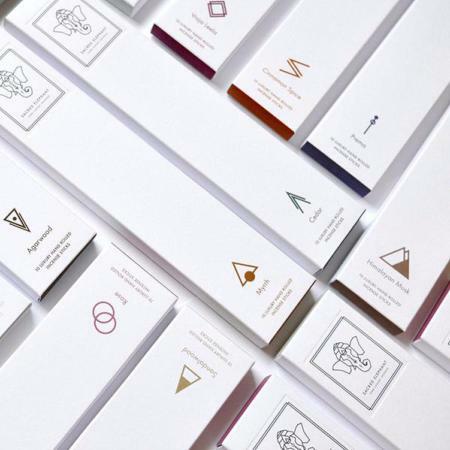 The best range and high stock levels of Japanese Incense Sticks from Nippon Kodo, Shoyeido, Baieido, Les Encens du Monde, Kousaido and Ume Collection. 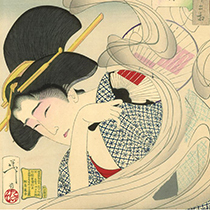 Japanese Incense sticks represent the best in quality, primarily due to their solid aromatic ingredient format. 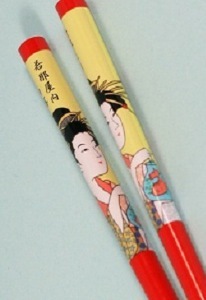 A central supporting wooden stick or core is not used in these sticks. 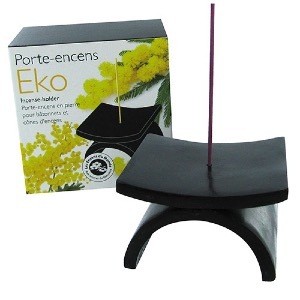 India has a rich tradition of using incense in many social and religious occasions for thousands of years. Here, Incense sticks are known as agarbathi from the Sanskrit word Agaravarthi, compounded from gara ( odour), agar (aroma) and varthi (wound). 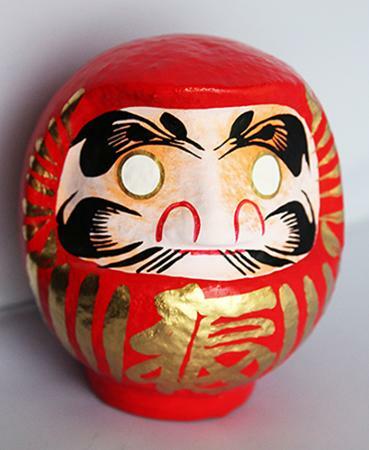 They are made by creating an aromatic paste from spices and herbs, which is then rolled or moulded around a bamboo stick. 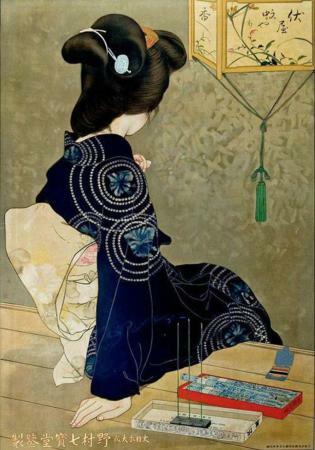 The bamboo method originated in India and is distinct from the Nepalese, Tibetan and Japanese methods of stick making in which a bamboo stick is not used. 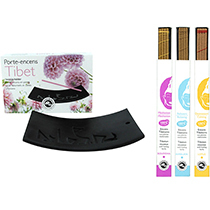 Tibetan Incense Sticks and cones, with a special holder/burner to accommodate the thicker than normal Incense Sticks. Experience blends and ingredients only found in the Himalayas. 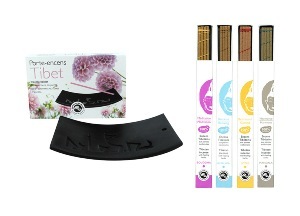 Incense Holders/Burners, Bowls & accessories. 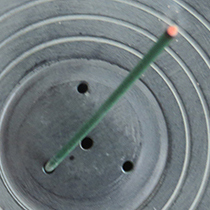 Made from a wide choice of materials including cast iron, stone, resin, ceramics and wood. Perfect gifts which look good around the home. 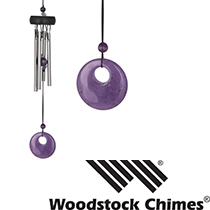 Woodstock Chimes are considered the world's best-known brand for Chimes - by the quality of sound, manufacture and design - so Vectis Karma is proud to offer these to our customers. 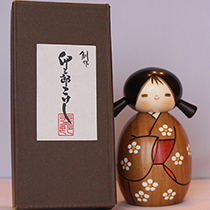 Japanese Kokeshi Dolls - handcrafted, for good luck and showing your love and appreciation. 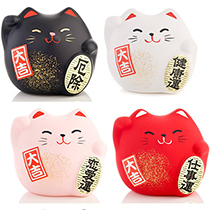 Plus a wide range of Japanese Lucky Cats. 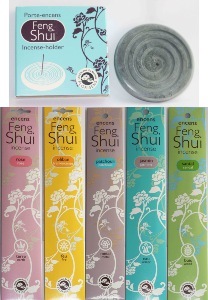 Feng Shui items - Incense, Chimes, Coins etc. 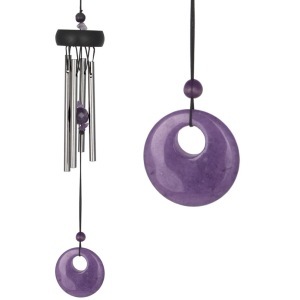 A variety of Feng Shui items from Vectis Karma, including Wind Chimes, Coins and Incense Sticks and Holders. 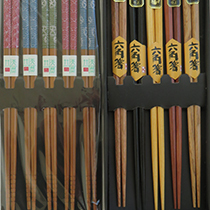 A collection of Chopsticks and Chopstick rests from both Japan and China. Available in single pairs and as sets. 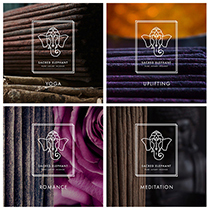 Greeting Cards by Vectis Karma - Peaceful images with a Buddhist theme, taken in Thailand, Laos, Cambodia and Vietnam. 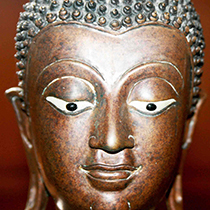 Image of Buddha and other peaceful images from around SE Asia. Individual cards and cost-saving multi-packs. 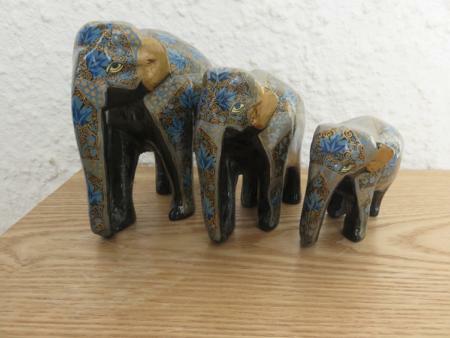 Sold in 'Families' of 3 Elephants - Large, Medium and Small in size. See below for precise dimensions. Many colour and patterns are available across this range. All 3 are finished with a protective lacquer coating.